Which is the best alternative to Emerald Gemstone? Jyotish Gemstones are a very special class of gemstones with characteristics so special that sets them apart from normal Gemstones. Special Colour, Inward glowing lustre, lack of treatment and being fully natural are some of the basic features of Jyotish Gemstones. It is these features that makes Jyotish Gemstones deliver the so called promised results and it is there very features that make them valuable. A Gem is rare and to get the right gem is even rarer. The great sages and seers were aware of this fact and to make the benefic powers of Gemstones available to all those who desire them they created the Upratnas which are referred to as alternative gemstones or substitute Gemstones. 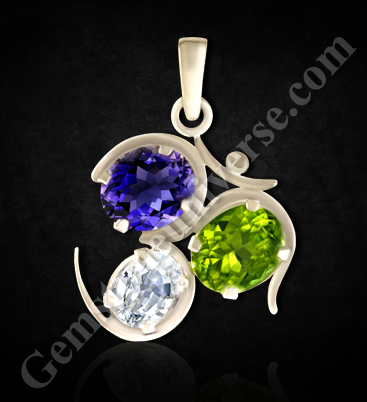 If your Upratna qualifies on the basic tenets of being Jyotish Quality you can expect good results from your Gemstone. They become a very attractive starting point for your Gem therapy. 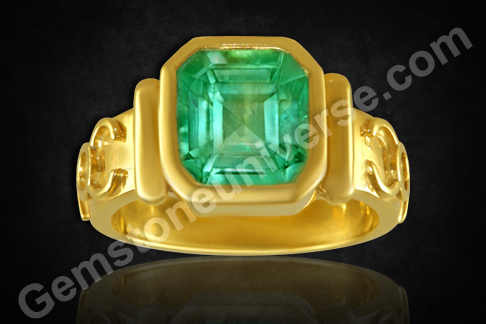 And in addition to the planetary energies the alternative gemstones also have superior healing powers. In years of Practice, recommendation and results we have observed that the best alternative for emerald for harnessing the powers of Mercury is Peridot. Peridot is the gemstone of Mercury. It is the substitute gem for natural emerald. The name ‘evening emerald is just a euphemism that traders use. It is NOT an emerald. 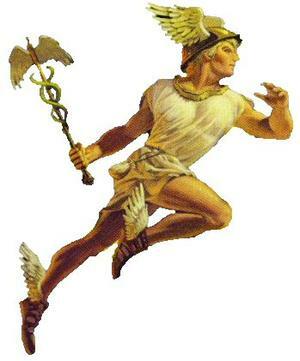 According to the ancient discipline of Vedic astrology, it is used for harnessing the powers of favourable Mercury in the birth chart. At Gemstoneuniverse we take pride in providing our patrons the best of Jyotish Gemstones and a 100% error free Gem Therapy. 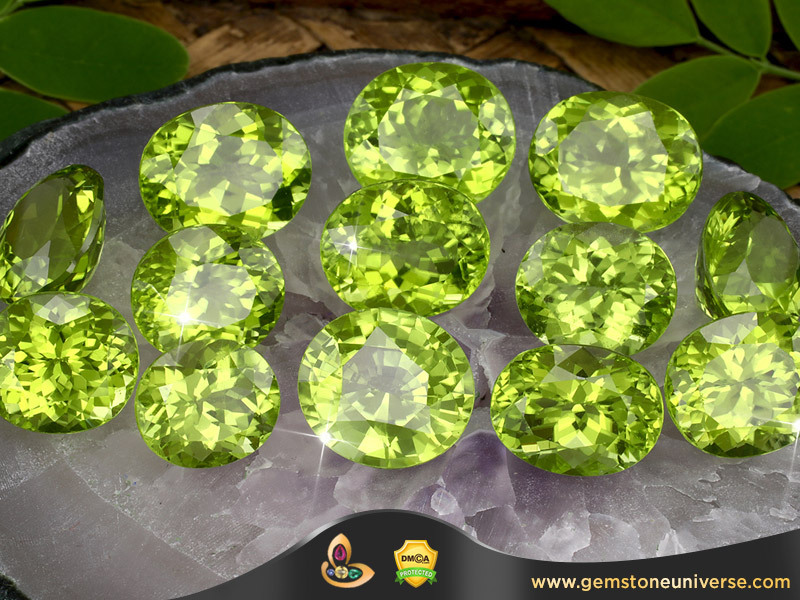 We are pleased to present our first offering for 2014- new lot of Peridots. “Jyothi”- The divine light. Every singe gemstone in this lot has blissful energies. – The color is top grade and spread even through the crystal. Has the coveted color close to that of green olives. Color Shades range from deep rich olivine green to deep rich apple green. Blue Sapphire Gemstone also known as Neelam in India is the Gemstone of Planet Saturn. In General natives of Capricorn/ Makar Rashi, Aquarius/ Kumbha Rashi can wear Blue Sapphire since the Lord of these signs is Saturn. However, since the Blue Sapphire is a strong and potent Gemstone, one should get the horoscope analysed in detail by a competent astrologer before considering wearing Blue Sapphire. 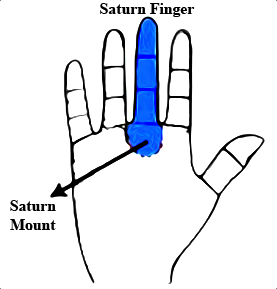 As Per Vedic Astrology and Palmistry also known as Samudrik Shastra and Hasta Rekha Vigyan the middle finger of either hand is ruled by Saturn. The Middle finger is also known as Madhyama in sacred texts. 1) Middle finger of working hand (Hand that you use for most of the activities including signing important documents etc. That which is precious and valuable comes only after a lot of labour and has a tremendous cost attached to it. And when one is talking about gems, this is the complete truth. Gemstoneuniverse brings to you the best of precious gems and stones from the best sources all over the world. In keeping with the commitment to give you the very best of jyotish quality gemstones, the newest parcel of gems is a big one – ABHI 2013 – a mixed lot of sapphires, blue sapphire and yellow sapphire. Natural Blue sapphire or neelam gemstone is the gem of planet Saturn or Shani and is used as an astrological remedy. Likewise, Natural yellow sapphire or Pukhraj stone is the gemstone of planet Jupiter or Brihaspati. 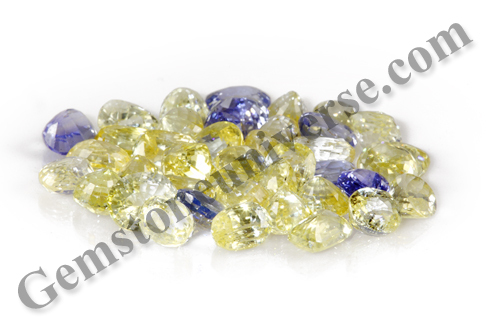 Basically both Blue sapphire and yellow sapphire are the same mineral corundum. Only the chromophore or the trace element imparting color is different – Titanium in case of Blue sapphire and iron in case of Yellow sapphire. Before going on to the characteristics of the parcel, it is worth mentioning that these gems have been cut from our own gem roughs and therefore you can expect delightful gems at a price point that can be given only by Gemstoneuniverse in today’s times. The roughs are from the famed gem mines of Ratnapura in Sri Lanka. Known as the “Jewel Box of the Indian Ocean”, an incredible 25 percent of Sri Lanka’s land area is potentially gem bearing. 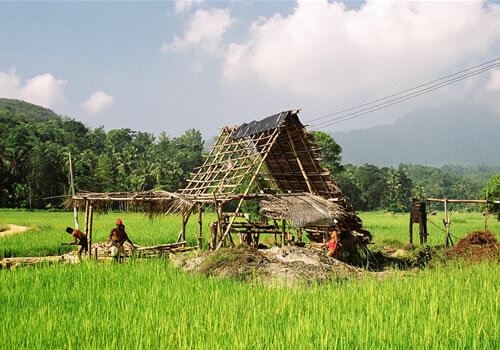 Geographically, the island of Sri Lanka is divided into the Wanni Complex, the Highland Complex and the Vijayan complex. It is in the central Highland Complex, stretching through the centre of this nation and rolling down towards the south that most of the precious gem mining happens. 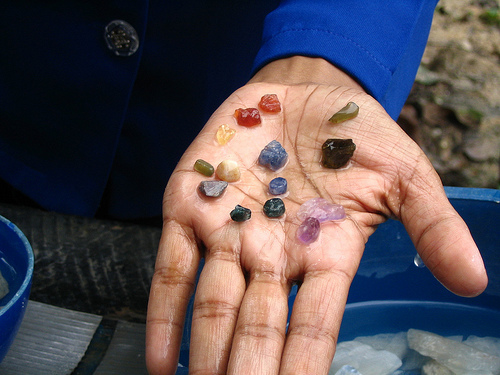 Sri Lanka is home to some 75-80 different coloured gemstones! That is a phenomenal number for different gems originating in a single geography. In this area one can see open pit mines with very basic set up being worked. Pits are dug into the earth sometimes up to 100 feet or more. Basic scaffolding structure is put in place to prevent earth from caving in. Air is pumped below to the mine workers to help them breathe. The gravelly soil is then dug out and hauled up outside. This gravelly soil is then sieved, sorted and swirled in shallow water to loosen and wash the mud away. The small stones are then sorted to separate gem material. The mining techniques are very archaic and risky. 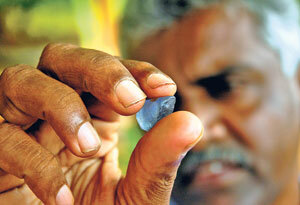 The new parcel of natural sapphires ABHI 2013 comes from the mines of Ratnapura. It has been very many times that I have contemplated the Om or Aum as we know it – sometimes not so seriously allowing the routine, roles and several other noises to interfere with the exploration and sometimes quite seriously (but dropped it midway overwhelmed by the sublime nature of the concept, largeness of metaphysical realm, by my own smallness (and a very human feeling that this is probably beyond me)! And here I am playing dare again. 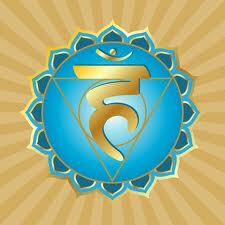 Om is at the beginning of many mantras and Om is also the end of many mantras. Om is the smallest bridge that spans universes and connects them as well. 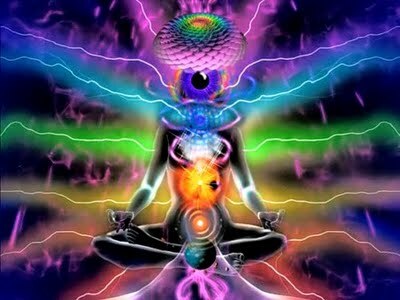 It is amalgamate in the subtle frequency of prana. It is where everything begins and it is where everything ends. While it can take ages and there can be several iterations (based on differing experiences and understanding) on what the Pranava Om is about, it is largely understood that Om is the sound of creation. It is the sound of the universe. It is a composite of the three letters A, U and M where each of the sounds denotes a separate state of consciousness. 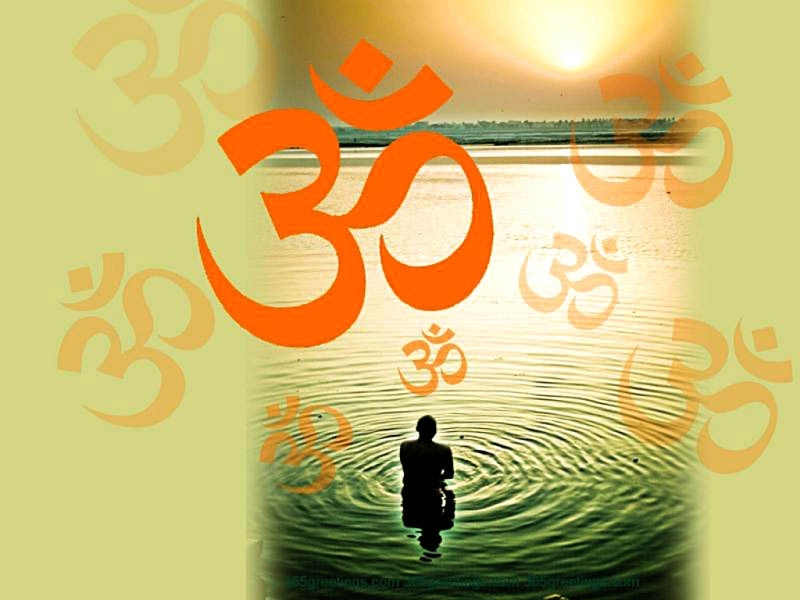 Aum is also referred to as the Shabd Brahman. 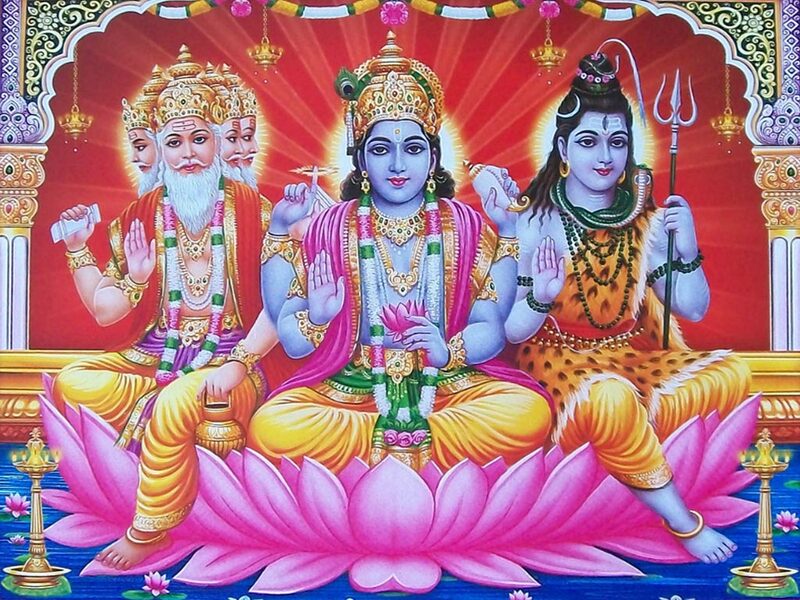 One may have already heard explanations like – AUM is the composite of the holy trinity – Brahma, Vishnu and Mahesh – the Creator, the Preserver and the destroyer. However, to understand the depth of Aum, one has to understand that things began with the creator. 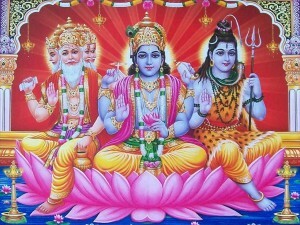 Brahma is known to be the first of the devas and he created the universe. When the word ‘Brahman’ is used in the context of understand Aum and understand the mysteries of the universe, it does not have Hindu castist connotations. ‘Brahman’ here refers to the source, the seed, the root of all things! A relates to the jagrata avastha where the individual is awake and relates outwardly to the material world. 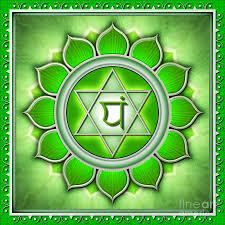 The sound A or akara relates to the anahata chakra. The consciousness in this state is known as the Vaishvanara. This is represented by the lower curve in the 3 shaped part of Aum. You will notice that the lower curve is larger and outwardly drawn too, to symbolise this state of consciousness and that most of the being dwell in this state. U relates to the swapna awastha to the dream state in sleep, where the consciousness of the individual is inward driven and there is relative state of greater awareness of the larger reality. 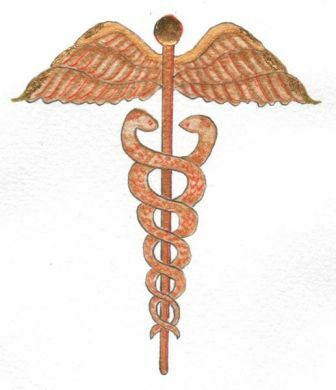 The of U or Ukara relates to the vishuddha chakra. The consciousness in this state is known as the Taijasa. This is represented by the middle line in the 3 shaped part of Aum. You will notice that this is inwardly drawn. M relates to the susupta awastha or the state of deep sleep where it is almost akin to being in deep meditation. The Makara relates to the ajna chakra that has the Aum actually in the chakra diagrammatic representation. The consciousness in this state is known as the Prajna, where higher consciousness dissolves the baser impressions of earthly life. This is represented by the upper curve in the 3 shaped part of Aum. 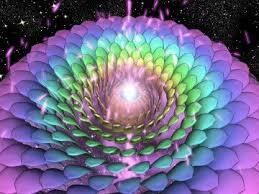 Beyond all this there is a fourth state – that INDESCRIBABLE one known as the “Turiya”. In a bid to understand, the concept is often described as the silence that follows the sound or reverberation of Aum and also that which envelopes Aum. It is important that the sound can stand out only and only if there is silence (we understand things in relation – there has to be dukha to understand sukha, there has to be bitter in order to understand sweet , there is always a dark against which we understand the importance of light!). However, the silence that envelops this primordial sound has its own formidable energy and bearing. It is in this state that complete bliss, the oneness of everything prevails. 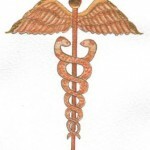 However, contemplating the Aum, there is a great significance attached to the bindu (the dot) that sits in a crescent. It is this Bindu that is believed to be a gateway in the Sahasrara Chakra, where everything else dissolves, all karmas are done away with. The path to enlightenment or that which may be called Turiya is right here. The crescent represents the play of Maya, which separates the pure consciousness from the manifestation on the earthly level. It keeps the being in a differentiated, illusory place. The Bindu however sits atop Maya (which sits over the levels of consciousness) denoting that the realm of the Bindu is unaffected by the play of Maya. Mandukya Upanishad is the sacred text that has explained Aum and the concept in relation to human being or self in detail. One can go on and on with expositions and treatises but it should suffice to say that from here and now the experience of it should take over. “Om is the bow, the self is the arrow, Brahman is called its aim. It is to be hit by a man who is not thoughtless; and then as the arrow becomes one with the target he will become one with Brahman. In him the heaven the earth, and the sky are woven, the mind also with all the senses. Know him alone as the self, and leave off other worlds! He is the bridge of the Immortal. 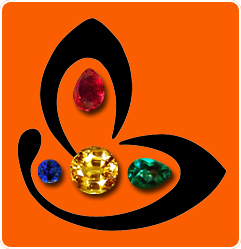 Abhijita Kulshrestha is the Director and astrologer at Gemstoneuniverse. She is a PGA and GIA certified astro-gemologist. She is also a certified NLP practitioner (NFNLP). 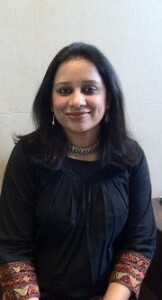 Abhijita is essentially a communication professional and holds a Master’s degree in Mass Communication and Journalism. Prior to her soul-level engagement with the world of Vedic astrology, gemstones and association with Gemstoneuniverse, she had a long stint in ‘word smithy’ ! She’s had professional stints at Mudra institute of Communications, Ahmedabad (MICA); RK Swamy BBDO, Bangalore and Times of India. In India astrology holds great significance in an individual’s life. It is an ancient science (although not quite completely explored, and it is more or less half-baked information doing rounds) that can help individuals determine course of life in a fruitful way and optimise it with the help of gems and stones. Ideally it is much less a tool of foreseeing events and gratification of material desires, as commonly thought of and much more of a discipline that can help an individual understand his or her self – one’s strengths and weaknesses better! Hindu astrology has recommended various remedies based on analysis of individual’s birth chart or horoscope. Every individual’s horoscope is different and therefore astrological gemstone recommendations are also different. There is a plethora of free gemstone software available online as well as for purchase but it can give results based on the algorithm fed to it. Therefore the recommendation may be far from the actual requirement of the individual or actually plain inaccurate! Discerning observations from an expert astro-gemologist can actually identify the personality as well as the time related requirement of the individual. Such a recommendation is much quicker in delivering results of gem therapy. According In regular practice, the gems of mutually inimical planets or conflicting planets or contradictory gemstones are not prescribed. You will be able to find several lists of gemstones that should not be worn together. In Vedic astrology, planets are either friendly towards each other (like Sun and Jupiter) or are mutually inimical or enemies to each other (like Mars and Saturn). While this rule holds good in general, a lot depends on the need of the individual looking to get relief from gem therapy. An expert astrologer can easily judge if it is imperative for the indivudal to avoid such combinations or absolutely must wear some contradictory gems together, even if it means breaching this rule. It is not uncommon to see individuals wearing contradictory gems like blue sapphire and yellow sapphire together. For instance, if an individual is running, Rahu Mahadasha (with Rahu’s position suitably considered, of course) and has a debilitated Moon, it is only done that the individual must wear a hessonite and a natural pearl (which are conflicting gems, if one goes by the general rule). If one does not address the deeply incapacitating planetary positions, hardly any effect of the other remedies will ever be felt. There are several other combinations that are prescribed but only after expert analysis of natal chart. 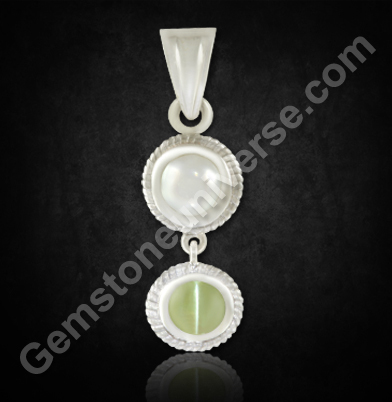 Get a good gemstone recommendation and carry out your planetary gem therapy fearlessly. Featured today is a two gem pendant with a natural hessonite (also known as gomedh in Hindi) from Sri Lanka of 4.50 carats and a Splendid natural Pearl (the very best actually from the Persian Gulf) of 2.21 carats set in sterling silver as a gem therapy talisman. Natural pearl gemstone is also known as mukta or moti in hindi. 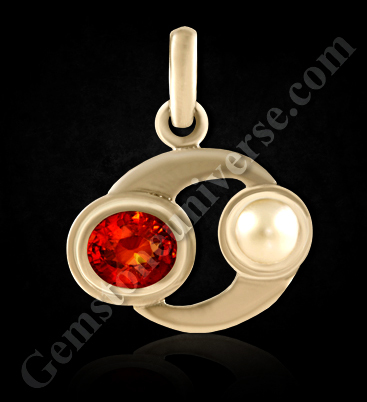 Hessonite has the planetary powers of Rahu and Natural pearl has the planetary powers of Moon. To view this Hessonite Gemstone before it was set please click here. To view this Natural Pearl Gemstone before it was set please click here. Top Ten Natural Yellow Sapphire Benefits, Among the precious gemstones and especially healing zodiac stones, natural yellow sapphire holds a special place. It is the gemstone of Planet Jupiter also known as Brihaspati in Hindu Astrology. 1. Yellow sapphire Benefits, has the planetary energy of Planet Jupiter, which is the planet of wisdom and fortune. Wearing a yellow sapphire can beget good fortune and wealth. 2. Wearing a yellow sapphire helps in better clarity, focus and therefore better decision making ability. 3. 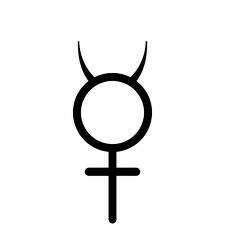 Planet Jupiter signifies marriage and marital bliss in a female individual’s birth chart. 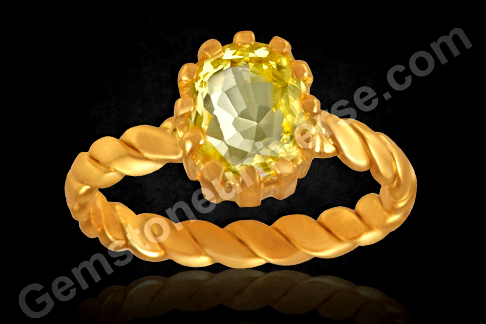 Wearing yellow sapphire can help in overcoming delay in marriage and finding a suitable match. 4. Natural yellow sapphire is a ‘feel good’ gemstone too. It can help a great deal in combating a pessimistic outlook. Wearing a jyotish quality yellow sapphire can keep an individual upbeat and hopeful. 5. Natural yellow sapphire is a very beneficial gemstone for individuals with Pisces ascendant or Sagittarius ascendant. 6. Wearing a natural yellow sapphire can bring great progress in academics and is a very good gem for those involved in higher academic pursuits as well as teaching. 7. Planet Jupiter rules over the realm of law and justice, therefore those engaged in legal profession stand to benefit from yellow sapphire. 8. Spiritual counsellors, healers, priests, preachers, – all those who are engaged in religious or spiritual work also benefit from yellow sapphire as dharma (religion) is the domain of Jupiter. Those seeking spiritual evolution may also benefit greatly. 9. Natural Yellow sapphire gemstone Benefits can help a lot as a healing stone in case of stomach ailments, weak digestive system and jaundice. Featured today is a natural Ceylon yellow sapphire of 1.91 carats set in 22 carat gold as a Jupiter talisman ring. 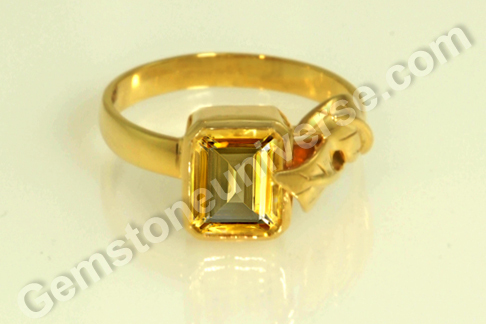 The jyotish quality yellow sapphire is a great canary yellow in color and has exceptional clarity and lustre. A good natural gemstone that gives the benefits of planetary gem therapy and healing the mind, body and soul on a holistic level comes by rarely. Natural yellow sapphire is also known as pukhraj stone and is used to harness the powers of Jupiter.To view this Gemstone before it was set please click here. Blue Sapphire Price Jyothish Gemstone, The blue sapphire gemstone has a league of its own in the world of gems. The several shades of blue – the entire array from pale blues to deep midnight tones, the allure of the gemstone and the aura of mystique that legends have built around it seem only to increase its charm. Natural Blue sapphire Jyotish Gemstone of karmic planet Saturn and can give amazing results during the Planetary periods of Saturn or during Sade sati if it happens to be a natural yogkaraka for the individual. The big question that faces an individual when he or she decides to buy a neelam stone is about choice – how does one buy intelligently in a market that offers several choices without necessarily addressing issues about authenticity or treatments! And even if one does manage to ascertain authenticity of goods, how does one establish the value? The natural blue sapphire stone price range is mind-boggling. Often paler gems may cost much more than a deeper coloured one. Or a smaller gem may cost much more than a larger gem. Initial foray into this world, without any set guidelines can be very unnerving! However, one can move safely from the premise of assessing on basis of 4 C’s of cut, color, clarity and carat weight of Blue sapphire gemstone! One may judge on each parameter singularly to begin with. Further on how a single blue sapphire gemstone scores compositely on all the factors would determine the final value – the blue sapphire price per carat. A small gem (less carat weight) may far outdo a larger gem simply by virtue of having better color or better clarity. A larger gem does not necessarily imply greater value! 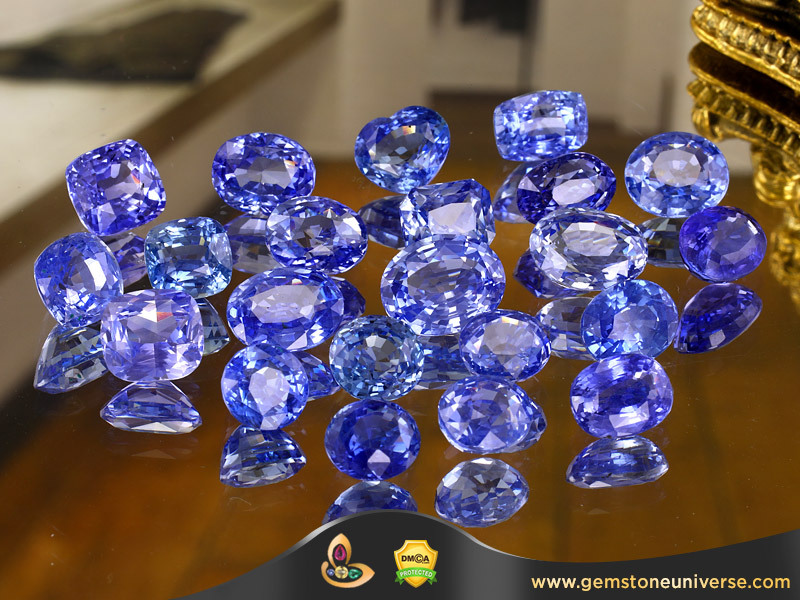 The ideal color that will fetch the best price for blue sapphire is cornflower blue! However, the Burmese blue sapphire stone which is very dark may command a better price because of the origin and the relative rarity of blue sapphire Gemstone originating from there. Like wise a gem with a fancy cut like a princess cut, a marquise or heart shape will fetch a much higher price than a oval or a cushion cut gem! Please note that precious carat weight is sacrificed to get a fancy cut gem. Connoisseurs willing to take that call are far and few! Gem cutting has evolved the ‘mixed cut’ out of a need to save the gemstone weight! Featured today is a beautiful natural and treatment free blue sapphire of a superb 4.44 carats from the Marapan mines of Sri Lanka. The cushion cut beauty of deep royal blue color has excellent clarity and lustre. The beauty of the blue sapphire gem is accented by two natural sparkly diamonds with a combined weight of 0.10 carats set on the sides of the gem. According to Vedic astrology, natural blue sapphire or neelam is the gemstone of Lord Saturn/ Shanidev and is used in a talisman to harness its powers. 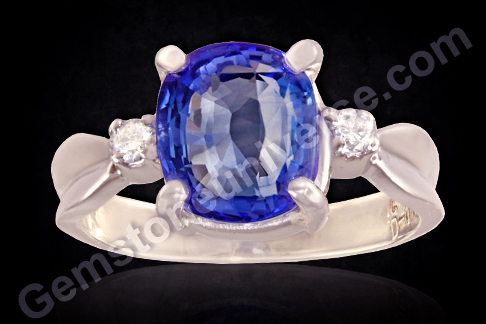 To view this Blue Sapphire Astrology Gemstone before it was set please click here.